Unless you’re a hockey player, you might think that this article is going to be a teenage girl breaking down the most attractive players in the NHL. You’re wrong. While part of being a beauty can be that you’re attractive with great flow, that only applies to a handful of the biggest beauties in the NHL. Some of the others are among the ugliest players in the league. Beauty/Beautician (noun): a player on the team that’s talented both on the ice and off and loved by the rest of the team. Typically has great flow, great hands, can wheel ladies off the ice, and always has some good locker room stories. On top of the hair, Karlsson is doing things on the ice that basically only Bobby Orr and Paul Coffey have ever done. He’s a revolutionary in the barbershop, and on the ice. And then there was the time he was playing beer pong with casts on both wrists from when Sidney Crosby slashed him on every faceoff in their 2012 playoff series. He has impressive flow (see above), and over the past five NHL seasons, nobody has more than his 435 regular season points. G is the man. While Karlsson has great hockey flow, Lundqvist just has great flow as it relates to his entire style. Well regarded as one of the best dressed men in professional sports, Lundqvist has been featured in GQ on multiple occasions for his hair and style. In another life, he could easily pass as a GQ model. Just look at him. He looks like he belongs on a Hollywood movie set, and not in 20 pounds of smelly goalie gear. And, you know, he’s only been the best goalie in the NHL over the last ten years. “Jags” as he is known, is a legend in more ways than one. He’s 3rd all-time in points, had the most iconic mullet in NHL history in the 1990s, and is known as an absolute workout machine. At 44 years old, I would wager that he’s in better physical shape than 99% of the league. And of course, there’s Jagr the Ladies Man. After all this time and fame, Jagr has conspicuously never been married. There was one hilarious incident last year when a model tried to blackmail Jaromir with a suggestive photo, to which he responded “I don’t care.” She released the photo (see the link above), and the girl ended up being the girlfriend of a player on the Czech National Junior Team. What a legend. Some people think Subban is too loud and flamboyant for the NHL, whereas in reality, the NHL needs more players like him. He’s impossible not to notice out on the ice, whether he’s laying a big hit, making a great offensive play, or celebrating one of his team’s goals. His impersonation of Jaromir Jagr at the Skill Competition this year? Hilarious. Off the ice, he’s equally as loud with his famous outfits. To say that his suit game is strong would be an understatement. On top of his unreal style, PK is known for doing tremendous amounts of charity work that does not get enough attention. Like when he donated $10 million dollars to the Montreal Children’s Hospital. Hear me out on this one. 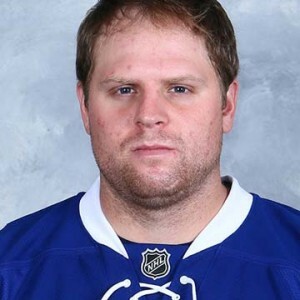 At first glance, you might think that Kessel is the complete opposite of a beauty. He’s goofy looking (to non-hockey fans he looks like a serial killer), and awkward in interviews. But Phil is just a regular dude like you and me, and he’s hilarious. He loves to eat hot dogs, and gets in intense ping pong matches with his friends and teammates. Who doesn’t love that? I feel like Phil Kessel would be a riot to hang out with. You would never know what was going to come out of that guy’s mouth next. And he’s a halfway decent hockey player too. Since 2008-09, the only right wing with more goals than Kessel (237) is Corey Perry (266). Unless you’re a Flyers or Blue Jackets fan, chances are you hate Scott Hartnell. I don’t blame you, I would too if I was you. Regardless of whether you hate him or not, you have to admit he’s good at his job. Hartnell, nicknamed BirdDog by his teammates, is an agitator that can score, and he’s absolutely hilarious. #HartnellDown became a movement among Flyers fan to commemorate all of the times that Hartnell would seemingly just fall down in games for no reason. He embraced it, and made a charity out of it. Then, of course, there is the hair and the beard. When the Flyers reached the Cup Finals in 2010, Hartnell legitimately could have passed as Yukon Cornelius from Rudolph the Red Nosed Reindeer (Google it if you don’t know who I’m talking about). Carter seems like he was destined to play in LA. Similar to Lundqvist, he would look more appropriate on a movie set than in a hockey rink. 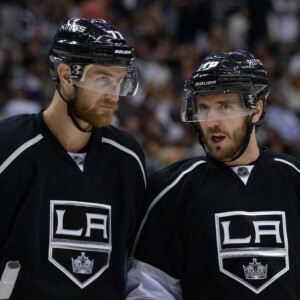 Carter’s partying ways with teammate Mike Richards were the stuff of legend during their time in Philadelphia (a quick Google search results in some hilarious pictures). However, it ended up being their (reported) demise in Philadelphia. They’ve been best friends since they were drafted by the Flyers in the first round in 2003, and that relationship continued to LA. In the summers, Carter still lives in Sea Isle City, New Jersey. For those not from the area, it’s more or less a huge party during the entire summer. On the ice, Carter has one of the deadliest wrist shots in the game. Sure, you’ll have to deal with a few going wildly high and wide every game, but the ones that do connect are absolute rockets. Burns currently sits at 10th in the league in points, among all players, despite being a defenseman. Who else could be the last guy on the list, but OV? Ovechkin literally defines beauty. He’s the best goalscorer the NHL has seen in years, and loves all of the things that men love in life: fast cars, women, and alcohol. Remember on 24/7 when he almost took his and Mike Green’s heads off with a utility cart? Similar to Subban, Ovechkin sometimes gets criticized for being too flamboyant and loud. That criticism is misdirected, and just flat out wrong. His energy is exactly what the NHL needs. Who else belongs on the list of the biggest beauties in the NHL? Let me know in the comments.